Some divers ice dive for fun, others do it as a job. Those that ice dive professionally may do so as ice diving instructors, as scientific divers, or as public safety divers. Unfortunately many of the standards, practices, and guidelines used today are relatively arbitrary. Except for the polar diving scientists who meet in polar diving AAUS (American Academy of Underwater Scientists) conferences to discuss standards, the other ice diving communities use standards presented by their certification agency or their particular public safety department. These standards are typically created by one or two sport diving instructors who are ice divers, or a public safety diver who learned how to ice dive from a sport instructor. These standards are generally not tested and are not discussed in conferences with panels of experts. Especially for public safety divers, these standards often do not meet the needs of the job. 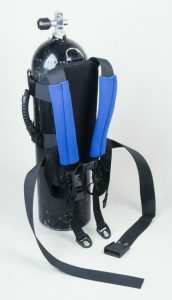 The Ontario Underwater Council, which regulates all diving conducted in Canada, pronounced in 1986, “Perhaps the only definite statement which can be made at this time is to recognize the need for a study of ice diving procedures by the various training agencies; with the intention of developing agreed upon procedures which will only add to the safety of divers participating in ice diving.” It is 2001 and after a continuance of needless ice diving deaths we are not much closer to achieving this goal. One of our main missions in regards to ice diving operations is to demonstrate the need for universally accepted, proven and tested safety standards and practices and to provide readers with proven life-saving standards and practices that can readily be implemented in sport diving practices, training program standards, and in public safety diving standard operating procedures and guidelines. Ice diving is technical diving. It is not recreational technical diving, which is associated with mixed gas and untethered deep diving, rather it is technical in that it requires advanced and specialized training, procedures, equipment, and it requires well-trained surface support. Public safety ice diving operations require even more highly advanced training and equipment. In certain areas, for four or more months a year, divers descend below the ice roof. Ice diving is without a doubt severe, overhead diving. For the most part there is only one way in and one way out. Divers in 10 feet of water cannot push through a 1-1/2 to 2 inch piece of ice, they cannot dig their way out without special training and a special ice pick-type tool. At depth, the darkness can be euphoric and incredibly unexpected. Ice diving is incredibly equipment and personnel dependent, with environmental difficulties that supersede almost any other type of diving. The simplest things can become major difficulties when ice diving. Ice changes in density and characteristics as continuously and as often as the weather. Unexpected temperature changes are not infrequent in the ice diving environment nor is mild hypothermia. Cold hands can keep divers from functioning and unable to perform the most basic skills. Cold stress can cause irrational thinking, inability to make a decision, and inability for self-rescue. Cold stress is compounded with the cold and abnormal function of equipment and with unexpected weak ice. Without sufficient contingency plan training and continued practice, these variables can rapidly increase the severity of small problems into an escalating chain of events leading to injury or death. When performed correctly, recreational ice diving allows divers to fully enjoy diving all year, creating new experiences in a unique dimension full of exciting and advanced underwater dynamics. Ice diving is exhilarating like fresh powder is for advanced snow skiers. Ice divers can explore a familiar summer dive site by experiencing it in a new way. Ice diving brings a new beauty to the underwater world while fostering improved personal dive skills and knowledge. In the public safety realm, ice diving operations possibly have the highest chances of victim survival due to the cold water and the ability, in most cases, to know exactly where the victim is. There are three major differences between recreational and public safety ice diving. •	Recreational divers pick their dive days and sites while in public safety diving, the situation picks the site and time. •	In recreational ice diving, two divers diving as a buddy team are normally in the water at any given time while the public safety diver is most often a solo diver. •	Recreational divers have the mission of “have fun”, while public safety divers are there to search for a drowning victim or evidence. In the world of public safety diving no ice is safe ice. If the ice was safe then chances are the public safety divers would not have been called to the scene. There is no walking, standing, or kneeling, and sometimes not even crawling on the ice. There are no support personal standing around watching as in sport diving. 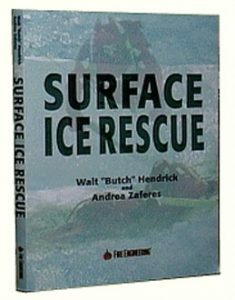 Rescuers often start falling through the ice way before reaching the Victim’s Point-Of-Entry. Hence, due to lack of sufficient training and equipment, the average ice dive operation begins to fall apart before it even gets started. Often drills and training do not well enough prepare public safety divers for the realism of thin ice. Consider the majority of ice training dives you have observed or participated in. Divers and tenders probably walked out to a pre-cut hole. Tenders stood on the ice to tend. A bucket of warm water was ready at hand to manage free-flow problems. Then consider actual ice dive calls where divers and tenders wore themselves out to severe states of exhaustion just trying to reach the victims hole because the ice was to thin to support them. When they reached the victim’s hole, the ice was so broken up, the exact location of the victim’s hole was lost. Tenders and divers, now in the water are working on self-survival. The video shows such an ice diving incident that seriously risked the lives of fire personnel because they were not trained for realistic conditions – thin, non-supportive ice. Training needs to prepare students for the type if situations they may be faced with. Public safety divers will sometimes respond to winter and ice emergencies without proper preparation or equipment. This is especially true when the team is in the rescue mode, which is the most dangerous time to break safety standards. True, the benefits may be higher during an ice situation than during warm weather, but the risks are far greater. Public safety divers are not alone in being unprepared. It is not uncommon for sport ice diving classes to give students ice diving certification cards without ever teaching them how to cut holes safely (or at all), how to tend, that a true redundant air source like a pony bottle is mandatory, how to manage an accidental disconnect, entanglement hazard management, how to transport an injured diver to shore, and how to manage other ice related problems. 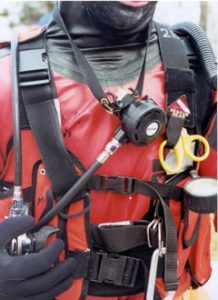 In rescue modes public safety divers must be capable of rapid deployment professional motion, which means dressing in under 3 minutes, rapidly securing the scene, setting up an incident command system, creating a plan of action, rapidly and safely carrying out the plan, rapidly and gently transporting the victim from the bottom to the shore, and preparing proper incident documentation. Recovery teams should also be capable of moving in rescue modes. Even strict recovery-only teams will respond in a rescue mode, when the chief’s little girl falls through the ice a few blocks from where the team is conducing a drill. It is crucial to have strict and stringent safety standards during rescue modes because that is when adrenaline is high, and greater risks are more likely to be taken for a perceived greater potential benefit. Recovery-only teams are at greater risk than rescue-recovery teams in such operations because they are not trained or used to moving rapidly. 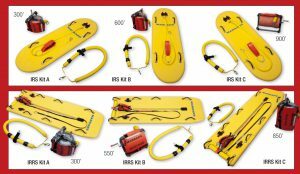 In both rescue and recovery modes, public safety divers need to constantly be aware of the technical preparation and instantaneous planning needed to obtain a safe and fulfilled operation. To conduct a safe dive operation anytime requires a commitment to training, planning, and coordination. With all the controversy and discussion created around the concepts of recreational technical diving, ice diving is often missed. Divers, diving instructors, and dive teams need to better understand all the parameters of safe ice diving. Recreational and especially public safety ice diving is extreme technical diving. The lack of proper training is unfortunately demonstrated every year. Cave diving is another form of overhead diving. An important difference though is that there are strict, universally accepted, tested, and well thought out standards. Divers know they need training. They begin with cavern and then work their way up through a series of ever advancing cave certification classes before dreaming of setting fin in a cave. 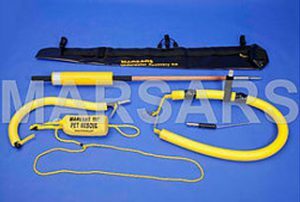 A basic cave diver in Florida will use very similar or the same procedures and standards as a cave diver in Mexico. Unlike ice divers where a certified ice diver in one county may use very different procedures, equipment, and standards, than a diver on the same lake. Two ice instructors on that same lake may be conducting classes completely differently. One instructor may cut a single round hole prior to the class, exert himself to pull the circle of ice out of the hole and stack it on the ice roof, uses octopuses, put divers down on separate lines, and put the lines in the hands of tenders with no training. The other instructor may teach students how to use chainsaws to safely cut three triangular holes with an ice peton and a strap and carabiner screwed into each triangle, after which the triangles are pushed under the ice roof where highly trained tenders will be standing, divers all have pony bottles and multiple cutting tools, and divers are tethered on a yoked line with harnesses. The cave deaths that have occurred are almost always divers who entered caves without cave certification. Sure even a trained and very experienced cave diver can die with a natural disaster such as a cave collapse, but that is not really the fault of the safety standards or training. Trained cave divers and instructors rarely are in the cave fatality statistics. And in many ways cave diving has less risks than ice diving. Cave diving does not have dangerous free-flow problems that can empty a divers tanks in seconds, does not have the same risks of cold stress and hypothermia, and does not rely on surface support to the same degree as ice diving. Very sadly, the lack of proven and tested, universally accepted ice diving standards is demonstrated by the fact that the majority of dives who die under the ice had previous ice training or much worse, were in the process of being trained by a certified ice instructor. There are far too many headlines of “instructor and student die under the ice.” That is completely unacceptable! Does ice diving belong in the technical realm? Yes! Can ice diving be dangerous? Yes! Should any of these deaths have happened? No! In each case, the death(s) were clearly a result of improper procedures and equipment. Our plan is not to die today. Our plan is not to go under the ice, “we’re just going to take a look.” “I know this bottom like I know the palm of my hand.” If you believe you know any body of water the way you know the palm of your hand, put your hand in your pocket and describe exacely what it looks like. Disorganization, lack of planning, lack of air and sudden fear of not being able to get out, create instantaneous chaos. Compound it with the fact that “I must save my friend, my instructor,” and another inevitable multiple death is only seconds away.